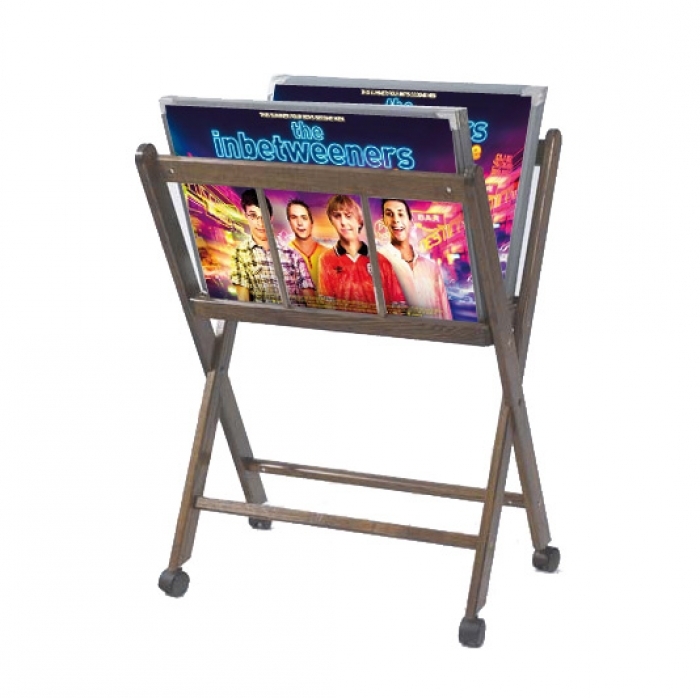 Wood Poster Browser Display Stands - these Poster Displayers consist of a wooden browser frame. Each panel has coloured fabric edges, metal corners and a white separator to allow posters to be shown back to back. Please note that the panel dimensions shown are external and 2" greater, on each dimension, than the poster which they will hold. Popular for galleries for all your art prints, tattooists and schools or colleges. 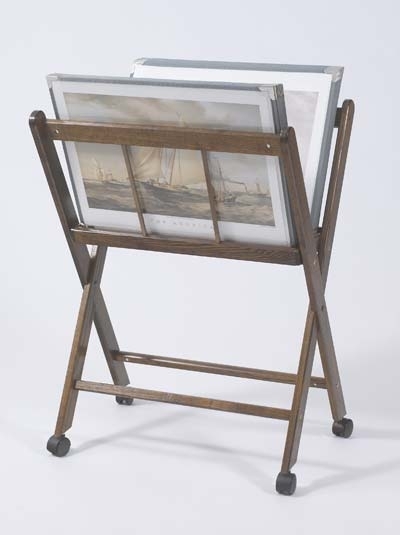 Display your fine art & art prints with our poster display browser stands fully customised to your specifications. Our Wooden Browsers are made from Natural Lyptus, a sustainable hardwood produced from forest plantation, interspersed with native forest reserves to ensure a balanced ecosystem. Browsers are finished in clear lacquer to preserve the natural beauty of the wood. 15 Classic Sleeves Included. This unit is for a poster size of 19" x 24"